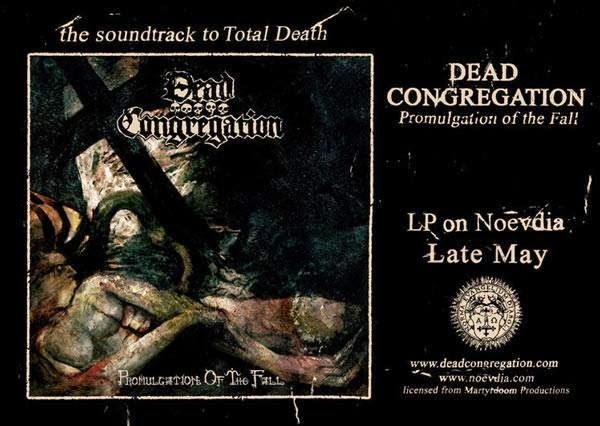 Dead Congregation - Official - Promulgation of the Fall LP (NED037 ) Under exclusive licence of Martyrdoom Productions ! Pre-orders are taken starting now. The CD editions come on May 5th through Martyrdoom (http://www.martyrdoomproductions.com/) in Europe and May 27th in North America through Profound Lore.